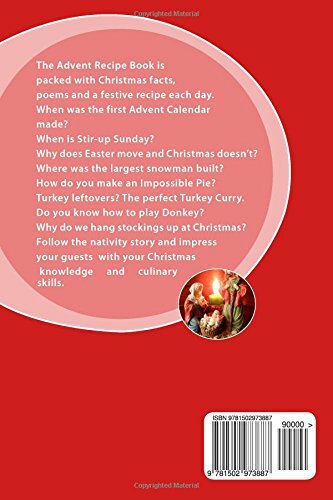 The Advent Recipe Book has a festive recipe for each day during Advent, for example, chocolate haystacks, Christmas tree biscuits, home-made mincemeat - but there's much more besides. Readers can follow the nativity story by turning each page to a new window. 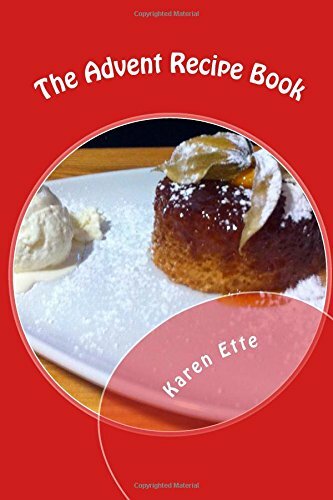 Learn how to make a Christingle, and why. Each day there is a quirky Christmas fact, such as where was the tallest snowman built? How do you play the card game Donkey? How do you make an Impossible Pie? What can you do with Turkey leftovers? Why does Easter move when Christmas doesn't? And lots, lots more - see below.